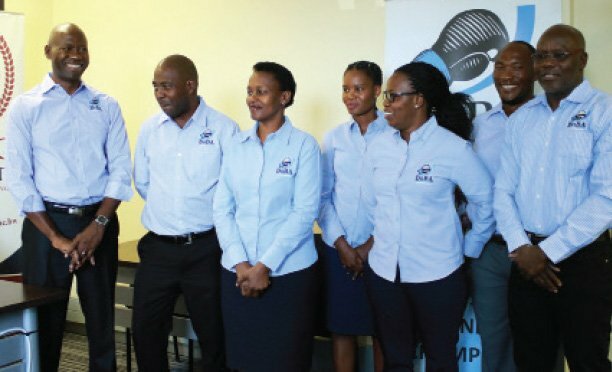 The Botswana Integrated Sports Association (BISA) is currently embroiled in controversy following the possible elimination of one of its candidates vying for the position of Secretary General at the upcoming electoral Annual General Meeting (AGM). This comes after his South Central zonal organiser Joy Kenosi failed to submit Lesego Muzila’s nomination form to BISA office in time. Kenosi like any other Zonal organiser was trusted with the responsibility of handing over all forms to relevant BISA authorities by the 1st of October. However in a highly controversial turnout of events, Kenosi is said to be claiming that he misplaced Muzila’s form unintentionally and only noticed his mistake last week Thursday. The deadline for submitting the nominations forms was 28th September and according to BISA constitution rules, Muzila has been withdrawn because his nomination form was never received by the association.Meanwhile speculation is rife that Kenosi sabotaged Muzila intentionally. Kenosi is vying for the Vice President- Technical. Moreover, Kenosi’s own nomination together with other candidates were successfully handed over to BISA by him. Only Muzila’s form is said to be missing from his submitted list.According to sources who prefer to speaking under the condition of anonymity, Kenosi’s actions raises eyebrows.“Where was his check list before submission and how did Muzila’s form get separated from the rest? We believe there is something fishy to this issue than what meets the eye,” a source said. Moreover it is also evident that the matter has aroused mixed reactions within the association and some are already calling for him to step down from running as VP Technical. His move is alleged to have been well plotted and wanting to favour certain individuals ahead of the elections. For his part, a clearly rattled Muzila said the issue is most likely to mess up his elections campaign. He was not in a position to neither confirm nor deny the sabotage allegations. However, he expressed disappointment in Kenosi‘s actions arguing he was not careful enough hence the current mess. He said he was still waiting for formal communication from Kenosi and the association. Moreover he is reported to have already engaged his lawyers on the matter and already seeking the way forward out of the situation. Moreover Sun Sports has been reliably informed that the missing form was received at BISA on Monday. Meanwhile Kenosi’s phone has been ringing unanswered since Monday afternoon. Efforts made to contact him at his workplace also proved futile. Herbet Kabelo the Electoral Committee Chairperson denied having received any information about the matter, “I am afraid of commenting because we have not been notified yet, however if there is any truth in it, the board will certainly meet and we shall see how best to address the issue,” he said.On the other hand incumbent BISA president Joshua Gaotlhobogwe said the matter was a very sensitive issue to discuss and his committee was not in a position to comment. I am also a nominee so it can get very complicated,” Gaotlhobogwe said.